Edward Teach Brewery and The Brooklyn Arts Center Presents: Toys for Tots Block Party. 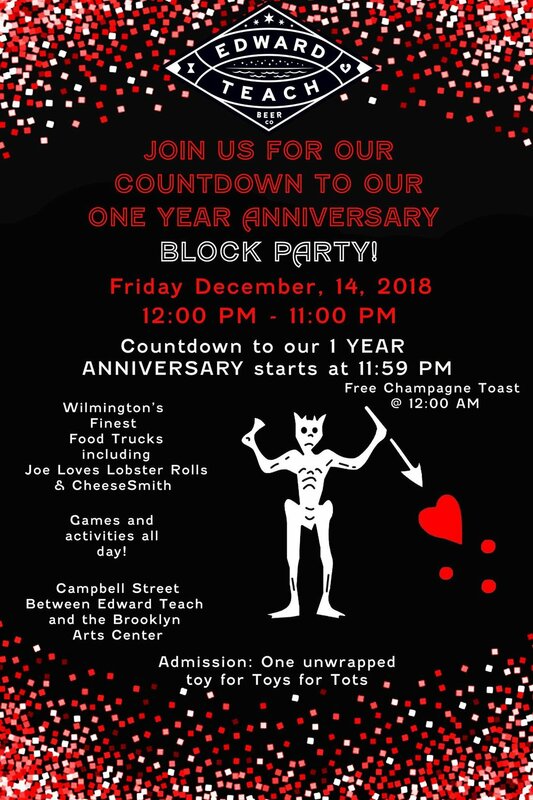 Join us Friday, December 14 from 5:00 to 10:00 p.m. on Campbell St., in between Edward Teach and the Brooklyn Arts Center, for Live Music, Local Vendors, Wilmington’s Finest Food Trucks, and great brews. Admission to this event is an unwrapped toy for Toys for Tots. Toys will be presented at L-Shape Lot Toys for Tots Concert Saturday, December 15.